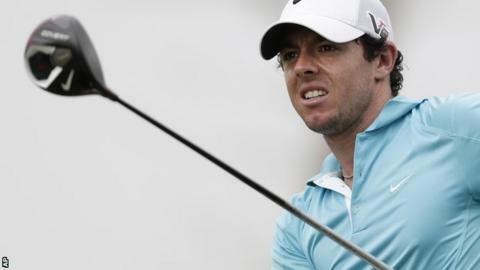 Rory McIlroy finished an encouraging week with a five-under-par 67 to claim joint-fifth place at the World Tour Championship in Dubai. He ended 10 shots behind Henrik Stenson who is the first man to win the Race to Dubai and FedEx Cup in the same year. Graeme McDowell had gone into the tournament sitting third in the Race standings and needing to win to pip Stenson and second-placed Justin Rose. He finished on nine under, 14 shots behind Stenson's record score. McDowell had an eagle and a double bogey in a 71 and was in a share for 17th at the end. The former US Open champion from Portrush got off to a mixed start, a bogey at the first followed by a birdie at two. The double bogey came at the par-four eight but McDowell recovered with a birdie at 10 and the eagle at the par-five 14th. Defending champion McIlroy responded superbly after dropping shots at the opening two holes. The two-time major winner from Holywood posted birdies at five, seven and nine to complete the front nine in one under. McIlroy picked up shots at 10, 11, 16 and 18 to finish the tournament on 15 under.